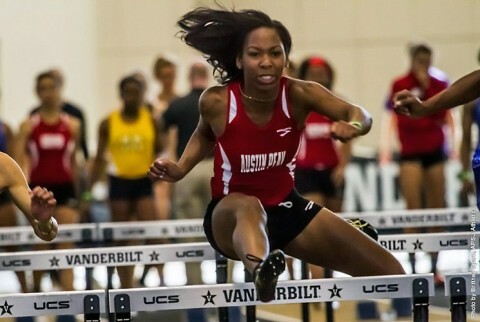 Columbus, OH – In its final pre-Ohio Valley Conference Indoor Championships outing, Austin Peay State University track and field team enjoyed several strong performances that will send it into Nashville next week with a sense of renewed confidence. The day got underway with yet another tremendous performance from junior Myiah Johnson . The Memphis native kicked off the day with an 8.62 mark in the 60m hurdles, qualifying sixth for the finals, and then repeated that finish in the finals with an 8.65 run. Senior Kymmalett Ross  turned in another stellar sprinting performance. She finished fifth overall at 7.66 after posting a 7.64 qualifying mark—both within five-hundredths of a second of the school record. Austin Peay saw five sprinters find their way into the top-seven in the 200m dash. 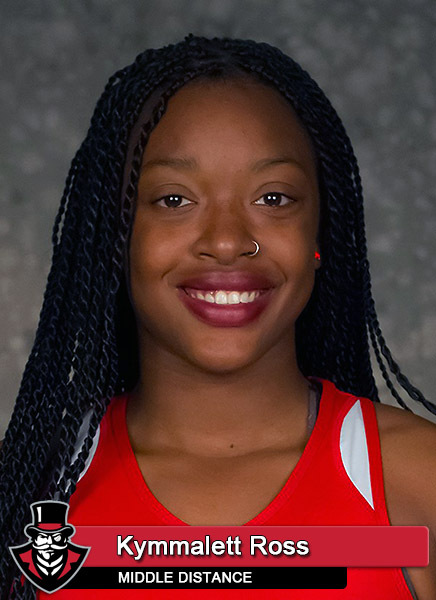 Sophomore Sonja White  led the way with a runner-up mark (25.36, converting down to personal-best 24.98 for track size), followed by junior Tamira Wilson  (fourth, 26.07), Johnson (fifth, 26.23), sophomore Allysha Scott  (sixth, 26.44) and sophomore LaMontra Robinson  (seventh, 26.56). Senior Breigh Jones , recovering from a leg injury, seems to be back on track. 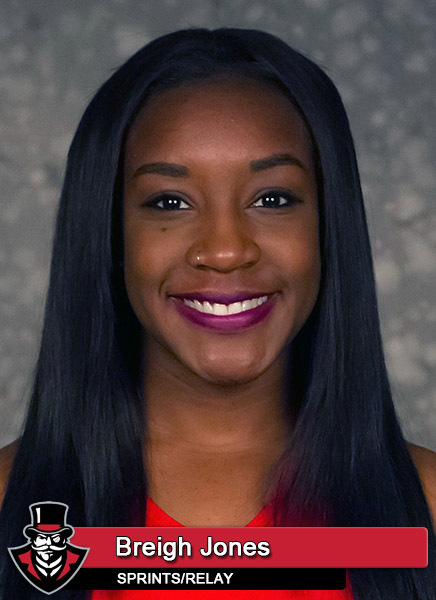 The sprinting dynamo won the non-NCAA sanctioned 600m event with a 1:38.20 run, while her usual 400m partner Terri Morris  was third in that event (57.08/personal-best 56.34). In middle-distance action, junior Molly Jordan  posted a top-five finish (2:17.38), while classmate Unjala Lester  wasn’t far off the pace, finishing seventh (2:18.31). Those marks convert down to 2:15.82 and 2:16.74, respectively, both personal-bests. Austin Peay’s 4x400m quartet of Jones, Jordan, Ross and Morris put together a solid race, finishing fourth thanks to a 3:51.18 mark. That converts down to 3:48.16 for track size, second-best in the OVC this season and best by an Austin Peay unit in 2015-16. In the field events, it was, of course, the pole vaulters who led the way, with freshman Dascha Hix  having to settle for runner-up honors in the event after losing a jump-off to Cincinnati’s Brooke Catherine; Hix equaled her personal-best with a 3.67m (12-00.50) mark. 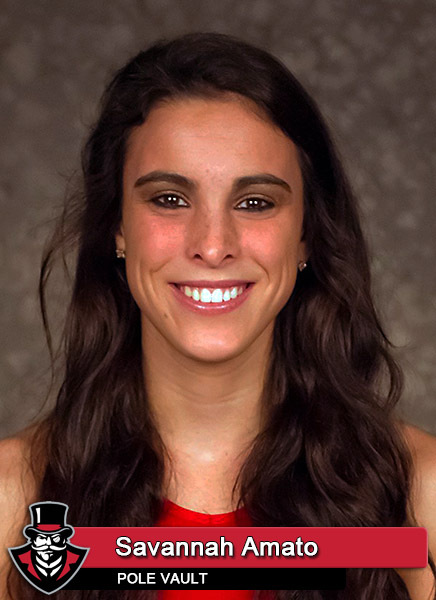 Reigning OVC Indoor Field Athlete of the Week Savannah Amato  was fifth with a 3.52m (11-06.50) vault. Freshman Nia Gibbs-Francis  also had a nice day in the high jump, finishing fifth with a 1.58m (5-02.25) leap. The Lady Govs close out indoor action at next weekend’s OVC Indoor Championships, hosted by Tennessee State, February 26th-27th, at the Gentry Center.